Cold and young: the best way to enjoy NZ Sauv Blanc. For my generation of wine drinkers, New Zealand Sauvignon Blanc is a white wine mainstay, both a defining expression of the Sauvignon Blanc grape and one of the first whites that comes to mind during a trip to the wine store. However, this level of penetration into the world’s vinous consciousness is a very new phenomenon: NZSB didn’t attract international attention until the mid-1980s, when the bright, crisp, fruit-packed bottlings from the country’s star Marlborough region first took foreign palates by storm. New Zealand has seen exponential growth in its wine production in the nearly 30 years since, and most of the Sauv Blancs you see on the shelves now are a product of this modern white revolution, only recently arrived to the SB scene. But not this one. 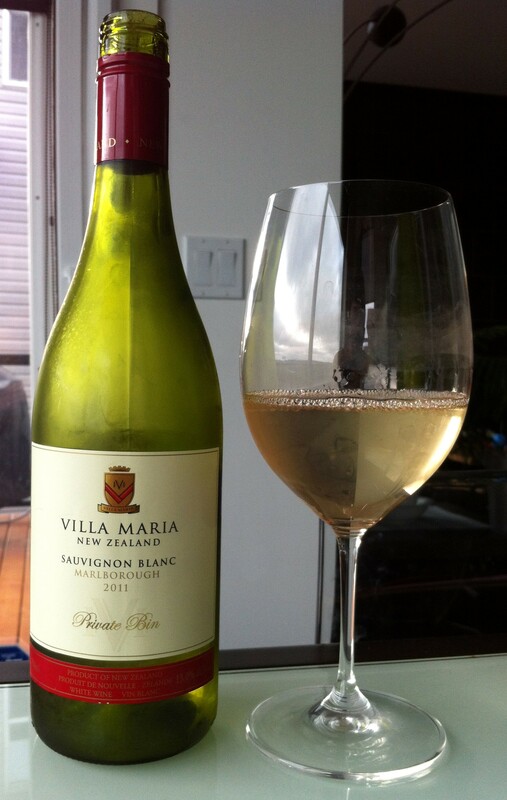 In 2011, Villa Maria celebrated its 50th year as a producer, which, in a country that is relatively new to the world wine limelight, makes it a true New Zealand pioneer. Its Private Bin bottling of Marlborough Sauvignon Blanc is sourced from grapes grown all over the region and shows that even recent wine history leaves a strong flavour footprint. The sign of a good bottle in this price range ($15-$20 CDN) is that it’s properly representative of its grape and region: it shows the colour, aroma and flavour that its varietal, grown in the soils of its region, is supposed to show. The 2011 Private Bin SB does exactly that. The wine is a pale transparent lemon-green colour and gives off an array of scents that leaves no doubt after a single whiff that this is New Zealand Sauvignon Blanc. Intensely aromatic and tartly tropical, it projects powerful notes of pink grapefruit and gooseberry (which I know sounds like a pretentious and fanciful fruit to reference in a wine review, but if you bite into a gooseberry you will completely understand why it is so often matched to NZSB), with a strong mineral undertone and hints of herbaceous greenness, like celery root or cucumber. The palate, as expected from such a citrus-fuelled nose, features waves of acidity that are crisp yet smooth and that scour the tongue with waves of crisp fruit — predominantly grapefruit again, but also lemon-lime, mango — powering into a dry, almost chalky finish. There’s some surprising roundness and fullness in the mouthfeel, but it tapers off at the end to finish clean. If you wanted to show somebody the difference between sweetness and fruitiness in wine (two things that are so often confused), crack this bottle: it is immensely fruity, infused throughout with tropical/citrus flavours, but it’s almost completely dry, with only a minute amount of residual sugar left after fermentation (3.5g/L). This combination is a hallmark of NZ Sauvignon Blanc and one of the reasons for its astounding popularity. Be sure to drink this (and any other NZSB) young, because the bright fruit and mouthwatering acid are the main things to relish in this bottle, and both are best enjoyed before bottle age smooths them out and forces them to fade; unlike with many of the world’s other fine wines, there is nothing to wait for with these ones. I don’t drink a ton of New Zealand Sauv Blanc, but what I like about it is that it comes exactly as advertised: you almost always know exactly what you’re getting when you open the bottle. Even better, most of them, even the top examples, are relatively inexpensive, so you can experience the best of what the region has to offer without totally blowing your wine budget…ask a fan of Bordeaux or Burgundy if they can say the same. 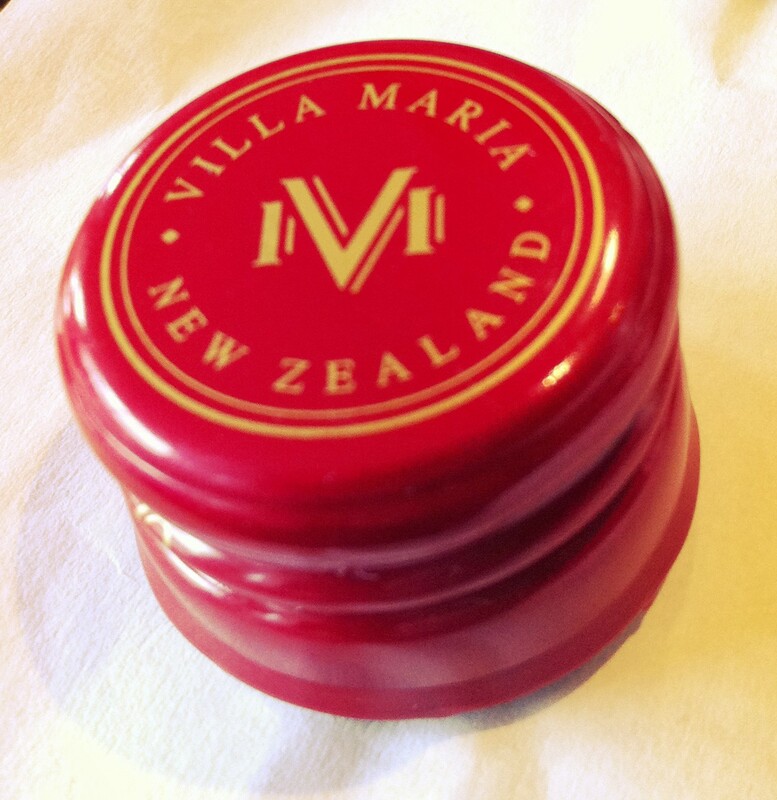 Villa Maria’s Private Bin SB is a perfect example. It’s all-around solid and super enjoyable from start to finish, and more importantly it’s completely true to its grape and its birthplace, which for less than $20 will leave you satisfied with your bottle purchase more often than not.